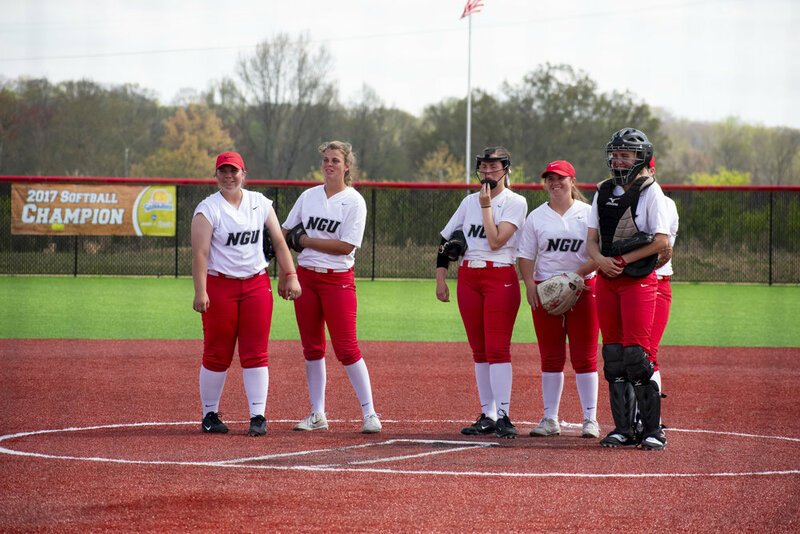 The North Greenville University's softball game took place Saturday, April 6, 2019 against Limestone College. The Crusaders put up a total of one point while the Saints scored two. 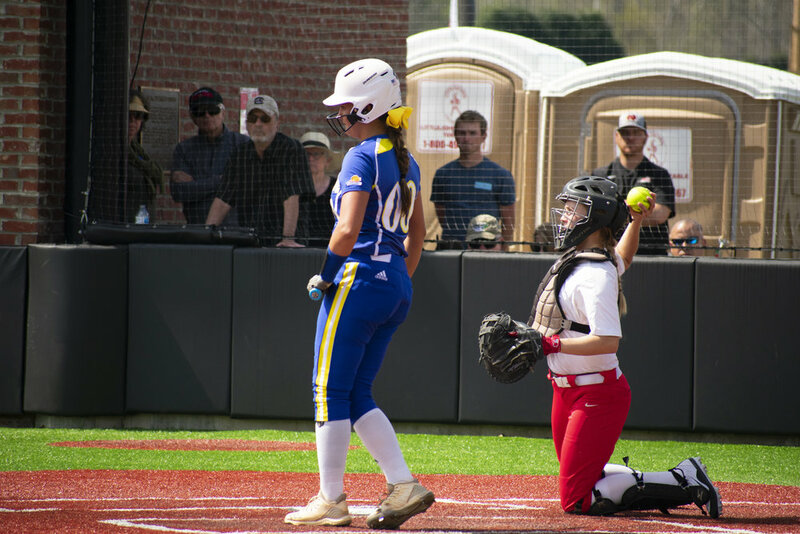 Freshman Josie Reed (8) runs from home base to second base. Sophomore Callie Richards (6) pitches the ball. 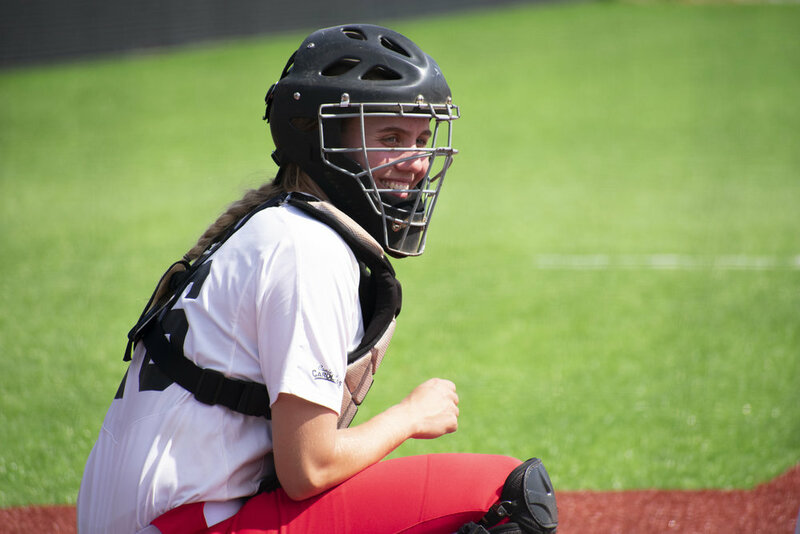 Sophomore Taylor Koon (16) waits for the game to resume. Freshman Carmen Silvester (15) takes a swing at the ball and misses. Teammates wait for the home plate to be reinstalled, due to it sliding everywhere. Koon (16) throws the ball back to the pitcher. 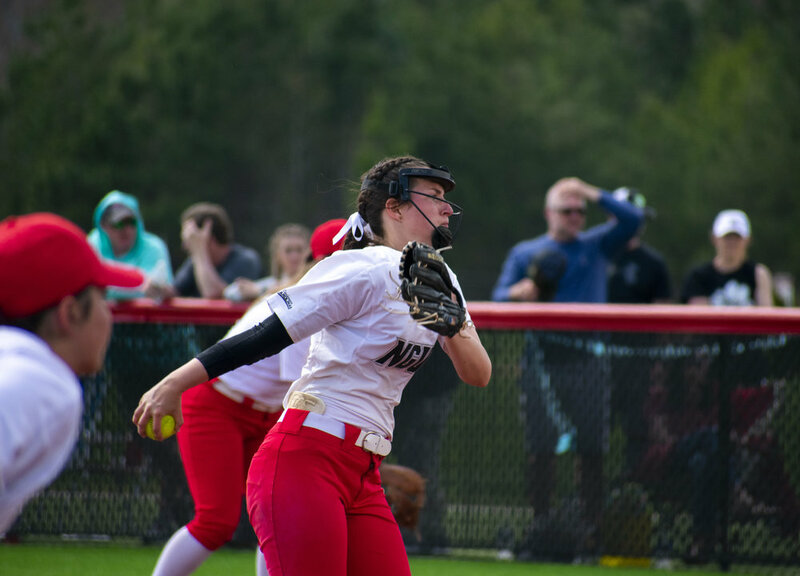 Sophomore Jenna Hewes (3) focuses on the pitcher.